Over the past decade, Powerful Signal has developed ProWay (Professional Way) to address poor and unusable cell signal in large buildings and unique environments. Using WilsonPro professional cell signal boosters from Wilson Electronics, Powerful Signal designs and installs solutions that improve cellular reception for large and small businesses across the United States. A home health and hospice care company that operates in 39 states recently issued tablets to their in-home healthcare employees. The tablets run cellular-enabled medical applications that allow workers to access and update patient information in real time. The company needed to train thousands of employees how to use the tablets, but discovered they had inadequate cellular reception in about a quarter of their 400 office locations. With device rollout beginning immediately, they called on Powerful Signal to help them, fast. Powerful Signal used a variety of Wilson Electronics solutions to improve cellular reception for this company. Wilson’s solutions accommodate both large and small spaces. Powerful Signal’s installation teams set up nearly 100 systems, with multiple rollouts by state or region, in large cities and rural communities across America. Some systems were installed with less than one week’s notice. The entire project was completed in under a year, and the healthcare company has been able to complete their aggressive training schedule with strong cellular signal in all their office locations. A rapidly-growing company that rents office space in top metropolitan areas across the country was having a recurring problem: The large office buildings they purchased, whether new or old, were not cell-signal-friendly. Their concrete, glass, and steel building materials effectively blocked cellular frequencies. This company offers custom workspaces with premium expectations to small businesses and startups that demand high connectivity, with multiple cellular-connected devices per worker. They reached out to Powerful Signal to help them resolve this business-crippling issue. Working on a tight rollout schedule, Powerful Signal’s design and installation teams created custom solutions for this company’s office buildings in New York City, Chicago, and Denver. With WilsonPro’s high-performance line of passive DAS systems, combined with Powerful Signal’s nationwide rollout service, this company is now providing strong, reliable cellular reception to their fast-moving clients. An American luxury jeweler and specialty retailer, with over 300 locations worldwide, needed to improve cellular reception in several flagship stores in New York, New Jersey, Florida, and California. These stores needed better cell signal to serve their high-end clientele and to provide enhanced security for employees working in areas with expensive merchandise. An installer who had done wiring and cable for this retailer recommended Powerful Signal to help them meet their needs. Powerful Signal’s design team recommended locations where outside and inside antennas should be placed in the jewelry stores, and the installer put in place custom systems for each location, all of them powered by WilsonPro cell signal boosters. Powerful Signal was able to improve both service and security for this high-profile business. Cell signal problem anywhere in the country? Powerful Signal is your solution. Powerful Signal manages all kinds of rollouts in vastly different markets, spaces, and facilities simultaneously, and proudly, exclusively offers Wilson Electronics’ best-in-class cell signal amplification systems. From initial quote to design, schedule, and installation, Powerful Signal offers just-in-time solutions. Whether you’re in America’s largest cities or its most remote towns, Powerful Signal will meet your installation needs and become your long-term partner. Contact Powerful Signal at PowerfulSignal.com or WilsonProWay.com. 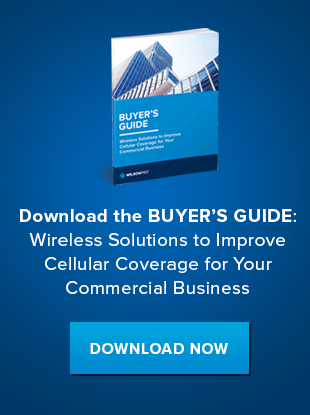 Download our case study to learn how WilsonPro solved major cell signal challenges for a prominent NYC retailer.